WASHINGTON (AP) — For nearly five years, Republicans have struggled to make a scandal stick to President Barack Obama’s White House. One by one, the controversies - with shorthand names such as Solyndra, Benghazi, and Fast and Furious - hit a fever pitch, then faded away. But some Republicans see the disastrous rollout of Obama’s health law as a problem with the kind of staying power they have sought. “There’s no question the issue has legs, in part because it affects so many Americans very directly and in part because the glitches with the website are simply one of many fundamental problems with this law,” GOP pollster Whit Ayres said. White House officials contend the website is just one piece of the broader law offering an array of benefits. They say that when the online issues are fixed - the latest estimate is the site will be working normally for most users by the end of November - few people will remember the problems that have marred the opening weeks of the six-month enrollment window. “It says a lot about Republicans that their focus here is not on helping Americans get insured, but on making political hay of this mess,” said Dan Pfeiffer, Obama’s senior adviser. There’s another mess the White House is dealing with that could have long-lasting implications, too: U.S. government spying on foreign leaders. The scope of the surveillance programs was first made public in June and the revelations keep coming. The latest concern the alleged monitoring of German Chancellor Angela Merkel’s cellphone communications. For GOP lawmakers, the White House’s stumbles on the Affordable Care Act have come at an optimal time, just one week after their strategy to shut down the government in exchange for concessions on health care imploded. 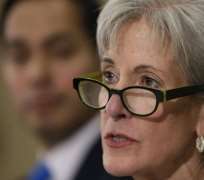 Republicans have scheduled a series of congressional hearings on the program’s shortcomings, and have called for officials, including Health and Human Services Secretary Kathleen Sebelius, to be fired. She is set to testify this coming week before a House committee. Anxiety about the website’s problems also appears to be on the rise among members of the president’s own party, a worrisome sign for the White House. Ten Democratic senators urged Sebelius in a letter to extend the insurance enrollment window beyond the March 31 deadline; White House officials say they don’t believe that will be necessary. Also, Democratic leaders have been critical about the seeming lack of preparedness for the sign-up rollout. Republicans are turning to a familiar tactic, congressional hearings. It’s the same tactic they took as they’re looked to connect Obama to wrongdoing in the deaths of Americans in Benghazi, Libya, the bankruptcy of the solar energy company Solyndra, the Bureau of Alcohol, Tobacco, Firearms and Explosives’ failed gun-smuggling sting operation known as “Fast and Furious,” and a number of other problems that have arisen since the president took office. “They can certainly put some points on the board but I don’t see a great Republican coup anytime soon,” he said (AP).